"The staff is nice! The office is really clean. I walk out feeling 100% satisfied." "The staff is so helpful, informative and above all else, kind." " I highly recommend JDV for all your spa needs." "My skin is looking better and better thanks to this amazing spa." "I love the doctor. She’s great and is out for your best interest. Highly recommend." "I love coming here! I highly recommend!" "I can’t say enough good things about this establishment!" "Absolutely loved my experience here!" "Joie De Vivre medspa is extraordinarily better than anyone else." "Been here for several beauty treatments and pleased every time." Joie De Vivre Medical Spa is a state-of-the-art facility in Canton, Ohio, specializing in noninvasive cosmetic medicine. With decades of combined medical experience, Medical Director James Franz, DO and Theresa Phillips, BSN, RN offer a wide variety of services to help men and women feel fresh, healthy and rejuvenated from the outside in.  The providers at Joie De Vivre Medical Spa genuinely care about their patients and focus on improving their appearance and enhancing their overall health and well-being. Dr. Franz and Theresa Phillips both have extensive training in the cutting-edge services they perform, and their medical backgrounds ensure safety and patient satisfaction, so patients can feel confident in the treatment they receive. Whether they’re receiving cosmetic injections, a collagen-enhancing microneedling treatment, or laser tattoo removal, every visit to Joie De Vivre Medical Spa is an experience, not just a procedure. Patients leave with a positive outlook and renewed self-confidence. Joie De Vivre Medical Spa always welcomes new patients and offers convenient scheduling options, both by phone or using the online booking tool. "Theresa is the best!! She is truly an artist, creator, and a perfectionist when it comes to injecting. I would recommend her to everybody!" "I am so pleased with their services that I'm going to do a second round. The only medical spa I'll go to!" "Every treatment I have done here has had wonderful results and I recommend Joie de Vivre for all cosmetic needs." "The staff is friendly and attentive to my needs and suggest the best product/service to meet my goals." "The spa is beautiful and the staff is amazing! Very down to earth and friendly! I definitely recommend Joie de Vivre. All my cosmetic needs were met exceptionally!" "Great atmosphere! Makes me feel confident that I chose the right place to go for laser tattoo treatment!" "I've been coming to JDV for years. Amazing staff, top notch work, and a convenient location!" "The place is immaculate and the number one thing is the staff pampers you and makes you feel like an important individual!" "Going here far exceeds any expectation you could have. Dr. Franz who does laser surgeries is skilled and precise. Everyone here really cares about the outcome." "Great place. Staff is so wonderful and welcoming. Would definitely recommend. If I could give it more than five stars I would."